The root of all phobia is anxiety. For example, some phobias revolve around a person’s fear of heights—acrophobia—while others are based in a person’s fear of spiders—arachnophobia. Phobias can be debilitating for the sufferer and almost anything can be the subject of a phobia if the fear within the sufferer is severe enough. If left untreated, a phobia can disturb virtually every aspect of a person’s life. Otherwise regular and relatively simple tasks, like keeping up an acceptable performance level at work, can become difficult or even impossible because of a phobia. For this reason, it is important that people are able to recognize their phobias and seek treatment for them sooner rather than later. The anxiety behind social phobias can lead sufferers into substance use and addiction. Social phobias can be particularly damaging for the sufferer because they can be very apparent and off-putting to those who are around the sufferer. Social phobias can make a person feel alienated and make collaboration of any kind difficult. At its root, a social phobia is a fear that is related to public situations. Those who suffer from social phobias often have a large amount of self-consciousness, which plays into their social phobia. These types of phobias tend to manifest during preteen or teenage years. A person’s peers often reject them in relation to their social phobia and this rejection can, in turn, cause a great deal of depression and other types of difficulty for the sufferer. 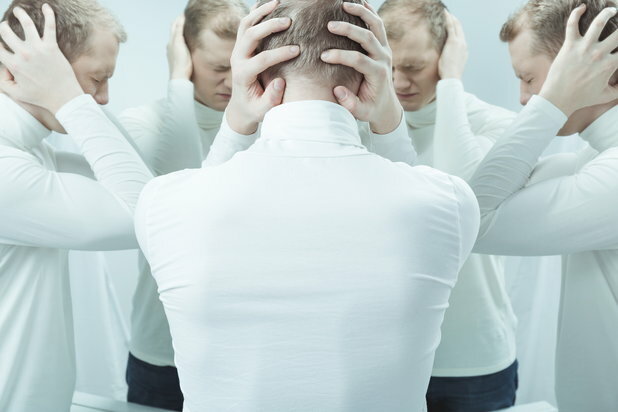 Those who suffer from social phobias are likely to want to figure out a way to cope with their social phobia or the depression that is frequently seen in people who suffer from social phobias. This desire to unplug from the anxiety that is at the root of social phobias might lead to self-medication through substance or alcohol use. Because of this, it is important to be aware of the possibility of co-occurring substance and alcohol addiction problems alongside social phobias. Social phobias are treated in a variety of ways. Talk therapy, namely cognitive behavioral therapy, is one of the main methods used for treating social phobias in adults. This kind of therapy can be conducted either in an individual or a group setting, depending on what will work best for the sufferer. This kind of therapy is thought to be highly effective in treating phobias and helping a sufferer to vanquish them from his or her life. Medical professionals also have other approaches to treating social phobias. Exposure therapy is a method for treating a phobia that requires prolonged exposure to the subject of the phobia until the sufferer feels comfortable. Eye Movement Desensitization and Reprocessing (EMDR) is another method sometimes used to treat phobias. Hypnotherapy is also a method used for phobia treatment and it is thought to work better for some phobias than others. Medication can also be used in the treatment of social phobia. Since the root of phobia is anxiety, anxiety-medication might be used to help treat a social phobia in an extreme situation. Antidepressant medications are more commonly used as they often address anxiety as well without the addictive properties held in many anxiety medications, like benzodiazepines. Any addiction issues that coexist with a social phobia need to be treated alongside the phobia if the sufferer is to achieve lasting sobriety. Self-medicating for an untreated health condition, like social phobia, can give an addict a dangerous illusion of control and stability. Both issues—the substance use and the social phobia—should be treated simultaneously by an experienced medical professional for the best outcome.